Today, Xiaomi announced its new gaming smartphone, the Black Shark 2. We previewed the first model last year; at the time, it seemed like a promising competitor to other gaming phone makers, like Asus and Razer. And Xiaomi is no stranger to designing and releasing high-end smartphones in China and elsewhere, even if they’re still fairly new when it comes to the gaming phone scene. To begin with, the Black Shark 2’s real kicker is its screen: it’s a 6.39-inch OLED display with an in-display fingerprint sensor made by Samsung. That’s a great feature just on its own, but Xiaomi has added a pressure-sensitive system that enables you to map the buttons located on the flanking corners of the screen; you trigger them by pressing harder on that part of the screen. Xiaomi says it has also optimized the phone’s display for gaming by improving color accuracy, reducing screen flicker at low brightness, and lowering touch latency to 43.5ms. Inside, the Black Shark 2 contains the sort of high-end specs you’d expect a gaming phone to have. Specifically, it offers the latest Snapdragon 855 processor, a 4,000 mAh battery with support for 27W fast charging, and 6GB RAM with 128GB internal storage for the entry model or 12GB RAM with 256GB storage for the top-tier variant. For imaging, the Black Shark 2 comes with a 48-megapixel and 12-megapixel dual-camera combo on the back and a single 20-megapixel camera on the front. Also, like last year’s Razer Phone 2, the Black Shark 2 contains a vapor chamber cooling system designed to keep the phone from overheating during all those games of Minecraft and Fortnite you’ll be playing. There are also optional accessories such as a handheld grip that can be attached to the phone. 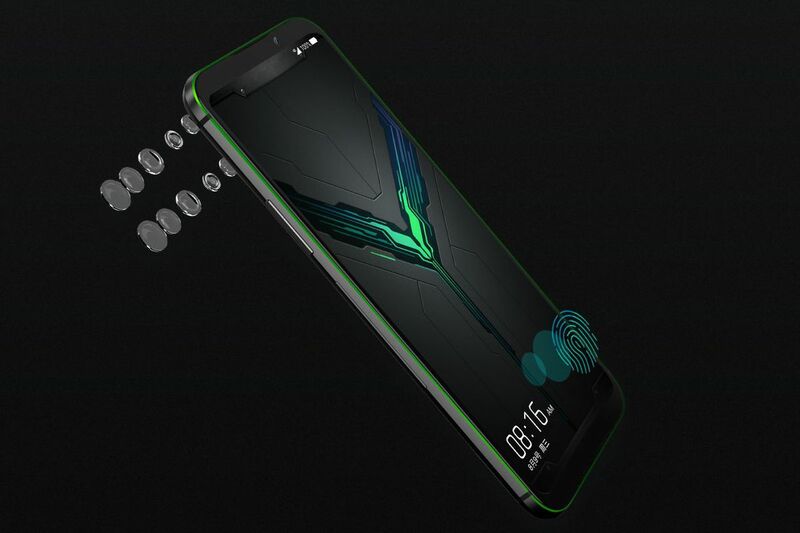 Xiaomi will start selling the Black Shark 2 in “frozen silver” or “shadow black” starting today in China, at CNY 3,200 (around $480 USD) for the base 128GB model or CNY 4,200 (about $625 USD) for the model with 256GB storage. Details are currently unavailable for an international release.